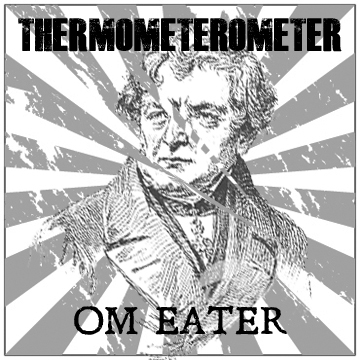 Thermometerometer- Om Eater Available Now! Thermometerometer’s third full length release Om Eater is up now in the releases section! These are the thickest improv doom slabs carved into impossible edge shapes. 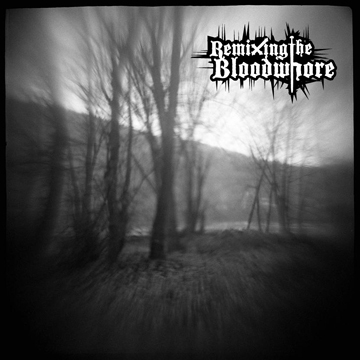 Remixing The Bloodwhore, Black Metal Remixes Available Now! Immigrant Breast Nest let loose some of NYC’s local deviant electronics masters to work the darkest necromancy on Decanting The Bloodwhore’s tru kvlt black metal classic, Enveloped In The Dreaded Anguish Of Ancients. Hellish blasts morph into breaks and bonks and pained screams slither into seething and sizzling noise freakouts. Imbuing the extreme grymmness of the originals with horrid and un-natural power, these remixes somehow deliver extreme hotness alongside true frost. Digit216 and Speak Onion pound out ruined breakcore with no remorse, while Joy Through Noise and Thermometerometer revel in ominous ambience. Naetron and seismologist lay out neck-breaking grooves, leaving David Morneau and David B. Applegate to get way, way out there on some alien soundscapes. Immigrant Breast Nest once again brings you the tru necro kvlt grymness, this time raised to the evil inverted infinite power. Connexion Bizarre, one of the finest out-there electronic music hubs on the internet, has reviewed Thermometerometer’s debut record, Who measure’s the measurers?. Accessibility? Ok, if you say so! This comes just in time to get the people ready for the latest and greatest T-MOM offering, to be released this month, Overcoming Adversity City. It will dagger your ears. Amid clouds of sawdust, Thermometerometer recorded these four tracks live in a Queens, NY furniture factory. Inspired by the skeletal rows of unfinished furniture & the constant urban clatter pouring in from the street, T-MOM explores a more experimental zone: dust-covered squelches & throbs, drones & screams resonating throughout the immense space. Thermometerometer captures the life of the factory and lays it at your feet. Thermometerometer- Who measures the measurers? Thermometerometer gets shapes. All kinds of shapes. Immigrant Breast Nest brings their first release, Who measures the measurers, to you, all full up with the kind of shapes that make you scratch your head or do a dance. If you looked at it through a giant microscope, you would see some doom shapes and get a disease! Drones, bonks, throbs, flips, slaps, and screams propel this record onward, or sometimes backwards. Along the way, Thermometerometer poke and prod inside some sounds looking for the next noise or beat that will fit into their messy basket. They are building one thing out of another thing. From the driving hard rhythms of Centrifuge Party to the abstract noise of Trapezoid at best and the drone screams of Dunejam, T-MOM are tossing out some weird junk for your ears.